ALM Nancy Pancy is a beautiful dark brown proven female whose fleece is very dense and has a very soft handle. Nancy has a very sweet temperament making her easy to work around but she is not afraid to establish herself within a herd. Make this your chance to obtain some of the amazing Royal Lear fleece characteristics! 3 of Royal Lear's progeny were declared colour champions in 2010! 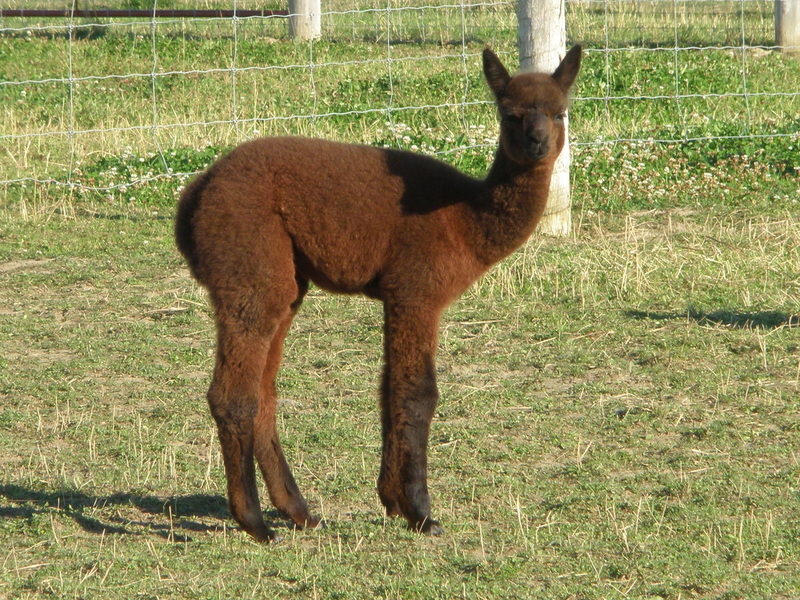 Nancy is currently bred to ALM Kiss Me Guido for a 2012 cria.